Today’s Paper: In what could have turned into a mass casualty accident in the skies, leaving over 250 flyers dead, two planes belonging to Vistara and Air India (AI) came close to a mid-air collision on February 7. 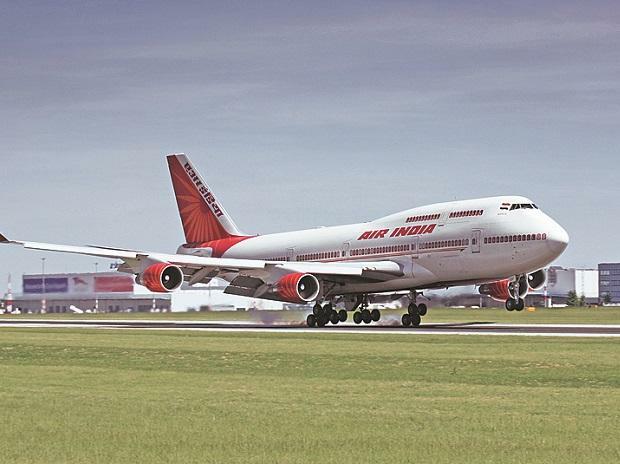 According to reports, the mishap was averted thanks to the presence of mind shown by the AI aircraft’s woman commander. Captain Anupama Kohli, the commander of the Air Indian flight, saved the day and the lives of 261 passengers travelling on the two separate planes when she saw the Vistara plane closing in and immediately climbed and turned right to steer clear of the other aircraft, the Times of India reported, citing sources, on Monday. According to reports, Vistara’s UK 997 Pune-bound aircraft from Delhi, carrying 152 passengers, was just 100 feet away from Air India’s AI 631 flight for Bhopal, which had 109 passengers on board. How close did the two aircraft come to colliding? “Barely seconds away…,” sources told the national daily. According to the report, there was some confusion in the air traffic controllers’, who have been suspended, coordination with the two aircraft on that day. A probe has been launched into the matter, the national daily added. According to sources cited by the report, the Vistara flight was descending from 29,000 feet, which was its assigned level, to 27,100 feet, where the AI aircraft was flying in the opposite direction. What caused the close shave? The sources said that confusion between the controllers and the Vistara aircraft’s cockpit could have occurred. During those tense moments, the Vistara cockpit, which was also being led by a woman co-pilot as the captain had taken a toilet break, may have received faulty altitude instructions due to a possible mix-up in communication. “Maybe there was a mix-up in communication in those tense seconds like what altitude instruction is being given to which lady,” the sources told the national daily. The national daily provides an account of how things went down thousands of feet up in the air: It was amid all this confusion that Captain Kohli, who is a senior commander of the A-320 family and has over 20 years of experience, saw the Vistara flight nearing her aircraft and heard the controllers asking the former as to why it was on this level. Upon being queried, the Vistara pilot told the controllers that they had told her to come to this level. With the red sign going up in the AI flight’s cockpit and a resolution advisory of ‘climb, climb, climb’, Captain Kohli averted disaster by immediately climbing and turning right to steer clear of the Vistara aircraft, the sources cited by the national daily said. The Vistara flight’s two pilots, according to news agencies, have been grounded pending an investigation. The concerned Air India pilots have been cleared for flying by the Aircraft Accident Investigation Bureau for not being at fault. Confirming the incident, Vistara told PTI that both the concerned pilots had been taken off flying duty pending an investigation.